The contents of the control panel haven't changed that much, but there are a few tools that have gotten an overhaul and even a couple new ones. Note that you can use the search box to find what you want. It works in pretty-much real time, like the search box in iTunes or MSN Desktop Search. 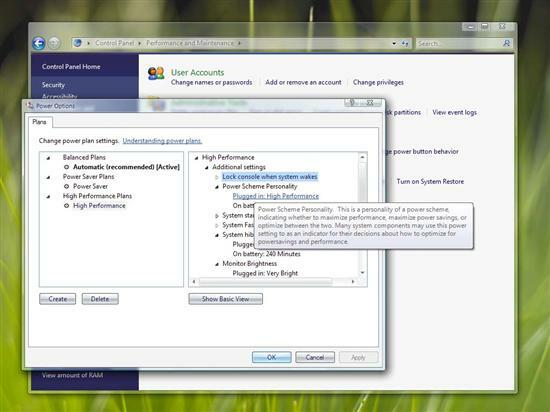 Microsoft has added this throughout Vista and it is nice to see, a much more useful tool than those of the plug-in variety from MSN, Google, or Yahoo. That's a shot of the classic view. I'll use the non-classic view from now on. It's far more pretty. Vista now has a center for networking! Look, you can even visualize the status of your network. One connection at a time mind you. This tool basically takes the old Network Connections box and makes it a little easier to use. 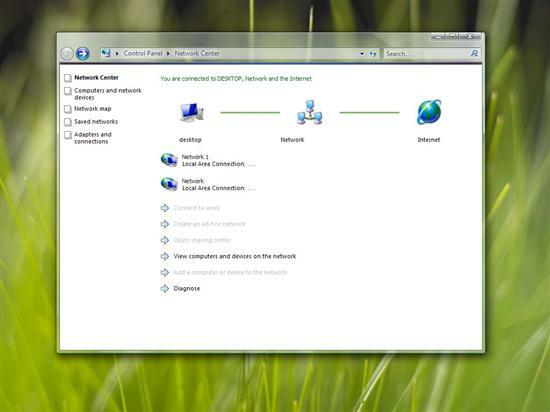 Not a bad attempt, though it has yet to be seen if Microsoft has finally made networking truly simple. 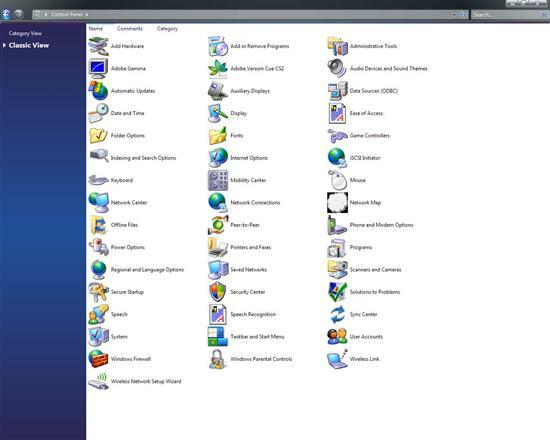 Wow, the current Vista build had a new power management tool and, man, is it a duesy. I'll give them credit, you get a lot more control over how your power is managed, but in it's current form it is a bit complicated to use. Probably dangerous as well. As you can see in the screen shot, they've taken what was once a fairly simple system with a handful of options and made the control center for the International Space Station look humble. It even has personalities! I would certainly expect a nicer interface before this things hits the big time, but you'll probably get a whole heap of control in advanced mode.